It needs resources to make the content available and host the website. 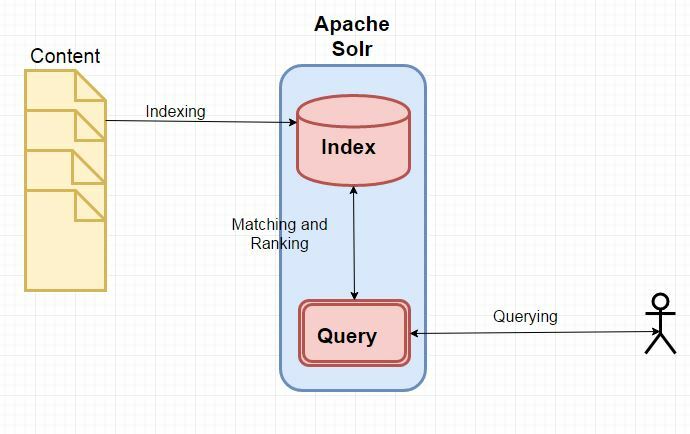 Apache Solr is an open source search server built upon a Java search library called Lucene. It supports REST like API for performing various operations like update, query etc. Advanced Full-Text Search Capabilities- Solr enables powerful matching capabilities including phrases, wildcards, joins, grouping and much more across any data type. Optimized for High Volume Traffic- Solr is proven at extremely large scales the world over. Standards Based Open Interfaces- XML, JSON and HTTP--Solr uses the tools you use to make application building a snap. Comprehensive Administration Interfaces- Solr ships with a built-in, responsive administrative user interface to make it easy to control your Solr instances. Easy Monitoring- Need more insight into your instances? Solr publishes loads of metric data via JMX. Highly Scalable and Fault Tolerant- Built on the battle-tested Apache Zookeeper, Solr makes it easy to scale up and down. Solr bakes in replication, distribution, rebalancing and fault tolerance out of the box. Near Real-Time Indexing- Solr takes advantage of Lucene's Near Real-Time Indexing capabilities to make sure you see your content when you want to see it. Extensible Plugin Architecture- Solr publishes many well-defined extension points that make it easy to plugin both index and query time plugins. Discontinuation of Google Search Appliance- Finding the best Alternative. Download and configure Apache Solr for indexing and retrieving a simple xml file. Getting started with SolrJ creating a hello world application. Top ElasticSearch frequently asked interview questions with explanation.